← Remember your first Noddy book? 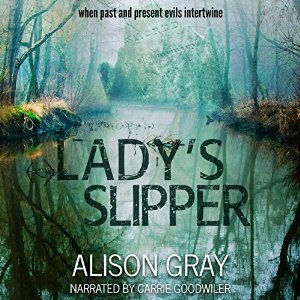 Alison Gray and Lady’s Slipper – making an audiobook. Huge thanks to Linda Huber for hosting me on her blog today. I was delighted to announce last weekend that Lady’s Slipper: where past and present evils intertwine (DS Abby Foulkes 2) is now available in audio format. Lady’s Slipper was narrated by Carrie Goodwiler, a young American professional voice artist whom I was very lucky to find. Carrie currently has nine other completed audiobooks on Audible, which shows how much in demand she is. 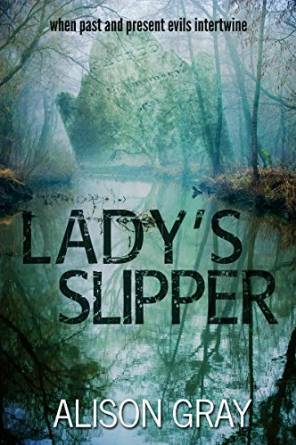 Much of the plot in Lady’s Slipper revolves around forests and actions which take place within them, and at a book group discussion in February this year, it was noted how the forest of Kielder in Northumberland played a part in the novel almost as if it was a character in its own right – and a very creepy one at that. It may be because it is the largest woodland in England, with three quarters of its 250 square miles covered in forest (source Forestry Commission of England) that its gargantuan proportions lend it to creating fear on a fictional level. Forests have long been a metaphor for the subconscious, and forays into the heart of them take on fairy tale significance with the prospect of facing and slaying demons that live within. These elements are present in Lady’s Slipper. 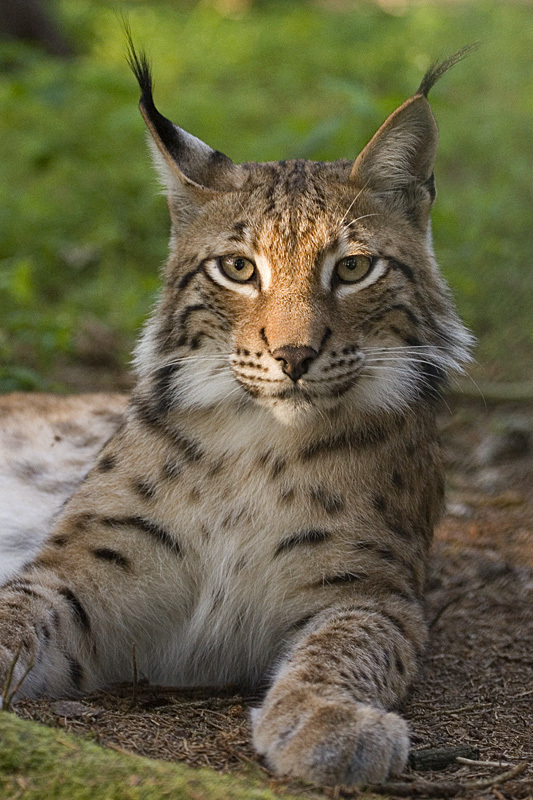 A BBC article from July 25th identified that the Lynx UK Trust prefer Kielder forest and the Border country as a possible location for the reintroduction of the Eurasian lynx to the UK. This gave me pause for thought. 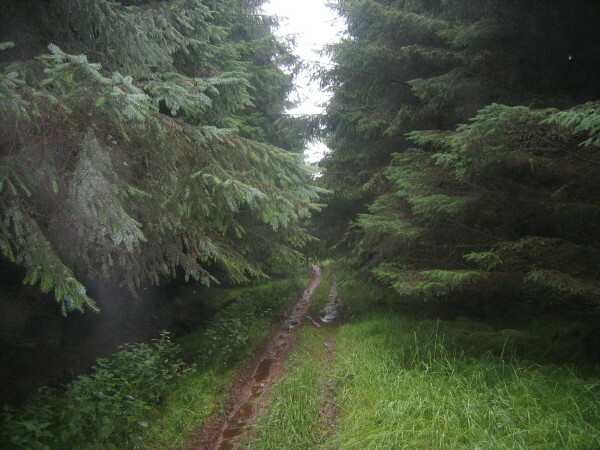 The idea that DS Abby Foulkes could come face to face with a wild lynx in Kielder forest would bring an added frisson to the storyline. Image © Bernard Landgraf (This file is licensed under the Creative Commons Attribution-Share Alike 3.0 Unported license. Not only would she have had more potential physical danger, facing a wild animal which kills mammals as big as deer (and therefore possibly also small humans), the very presence of a lynx in the forest would allow the story to tap into the mythological properties of the animal, which is often seen in Greek, Norse and North American mythology as a keeper of secrets. Of course Lady’s Slipper was set in 2014 and released first in 2015, well before any planned release of such a beautiful, wild animal. It might be something to bear in mind for future stories though! Linda has asked me some questions about the audio format and so I’ll attempt to answer these now. How do you find a narrator? 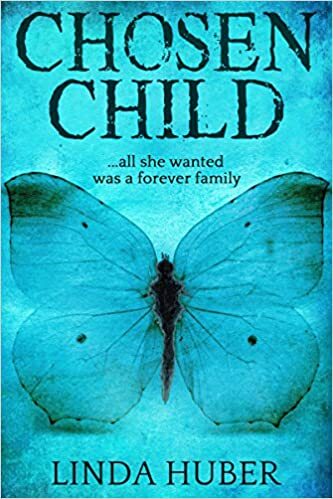 As well as bringing Lady’s Slipper out in audio this year, I brought out the first in the DS Abby Foulkes series in audio in 2015 but with a different narrator. The narrator for Hibiscus Fruit is Lisa Angelini, a French actress who has now narrated three audiobooks which are available on Audible. I found both of my narrators, Lisa Angelini and Carrie Goodwiler, on the ACX database of voice artists. ACX (Audiobook Creation Exchange) is a platform where writers can connect with voice artists and collaborate on creating audiobooks. It opened up to UK authors in April 2014. Previously the service was only available to US authors. You can find the database by going to www.acx.com and searching the producers for hire. There are a lot and you can filter by voice age, gender, accent and vocal style, amongst other things. You can spend many hours listening to different voice artists and imagining them reading your work. You can also post an excerpt of your work and let narrators know that you are open for auditions. Narrators have different charge rates but some are open to royalty share so you don’t have any upfront costs. After you agree a contract which defines the production cost (royalty share or upfront cost) and a timescale for production, you are almost all set to go. The first thing that you need to do is provide a PDF of the complete manuscript for the narrator to work from, preferably singled-sided. All narrators and writers are different, so it is a case of how closely you want to work together. I’ve only worked with two narrators and both were very keen to adopt my vision for the characters. You can give the narrator a list of the characters and a bit of backstory about each one so they can easily get into character. ACX works on the principle that the narrator delivers the first fifteen minutes of audio and you then approve that. Then they move on to narrate the rest of the book. This is quite useful in that it allows you to decide if you really do want to continue to work together or not. So far, I’ve been lucky and have been very happy with my narrators. After that it is really up to you both to decide how closely you work together. In both cases so far, I have listened and given feedback on chapters as they were ready, rather than waiting until the entire book was finished. This has been helpful for me and for the narrators I’ve worked with so far. Where does the narrator do the reading? Each narrator will have their own reading space set up which provides good soundproofing. There is a very interesting blog article here about preparing a room for quality voice work. How long is the audio version? ACX estimates the length of the audio based on the number of words in the manuscript. The calculation is approximately one hour per ten thousand words, so an 80,000 word manuscript will result in an audio book of 8 hours. This is of course an approximation. And some narrators will read faster than others so the final version may be different from the initial estimate. Is the finished product on CDs or MP3? Why do so many people enjoy audiobooks? I don’t know but would guess there are many reasons. From my own perspective, I enjoy listening to audio books when I’m travelling; when I’m working out at the gym; if I don’t feel well and it hurts my eyes to read text on a page; or if I’m doing a chore that doesn’t require mental effort (like washing up or ironing, for example). It does seem that audio is a format that is growing in popularity at the moment. 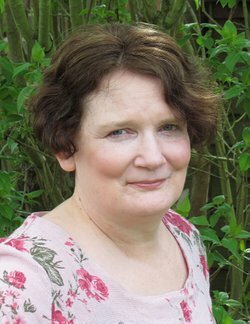 Joanna Penn gave a talk about audio at the 2016 Indie Author Fringe festival called How Authors Use Audio to Market and Sell Books which you can find by following this link. And only last month there was an article in The Wall Street Journal about the growth of this medium, called The fastest-growing format in publishing: audiobooks. Here are the links to Alison’s website and her Amazon page, where you can order her books. Caileigh Watson was two when she witnessed her mother’s murder in the woods. She longs to remember her mother but struggles with memory problems. Twenty years on the man who was imprisoned for the crime is up for release. And then a new witness appears, whose testimony could throw out the original conviction. When Caileigh and the witness go missing, DS Abby Foulkes is pulled into a hunt for the truth in a case which threatens to engulf her.